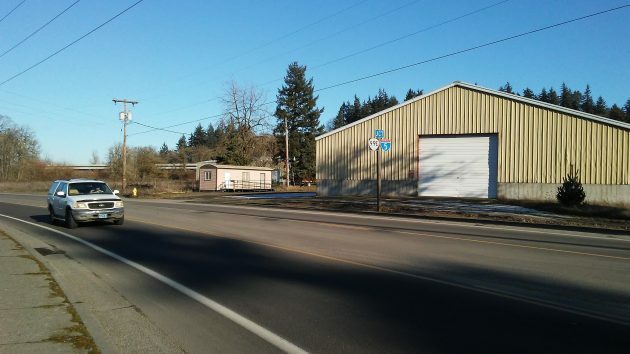 Love’s truck stop is planned for this property on Old Salem Road near I-5 (in the background). If you’re wondering about the status of the planned Love’s truck stop in Millersburg (and even if you’re not), here’s the latest: The company and ODOT are working on an agreement to satisfy the state’s concerns about the nearby freeway interchange, and when that’s done the project can go ahead. The Millersburg Planning Commission on Jan. 10 approved a site plan for “Love’s Travel Stop and Country Store” on a 12-acre site on Old Salem Road just south of the south Jefferson interchange on I-5. The state transportation department appealed that decision to the city council on the grounds that the truck stop’s effect on the interchange had not been adequately addressed. This is the interchange that worries ODOT in connection with Love’s. Accursed bureaucrats. Everybody has to justify their existence by filing a grievance for anything that crosses their desk; once they’ve paid a couple of more paychecks, everything can proceed as smoothly as it would have if they had not become involved in the first place. Or just quite possibly they’re performing the due diligence to minimize a congestion hazard. That little truck stop will attract many more autos than trucks. The interchange (all 4 ways) needs change to prevent congestion and death. I’m still in favor of this “travel center” and the benefits it can bring for travelers, truck drivers, and local folks that need fuel for their commutes. I don’t like the name, “truck stop”, there is something for everyone and the location is ideal. 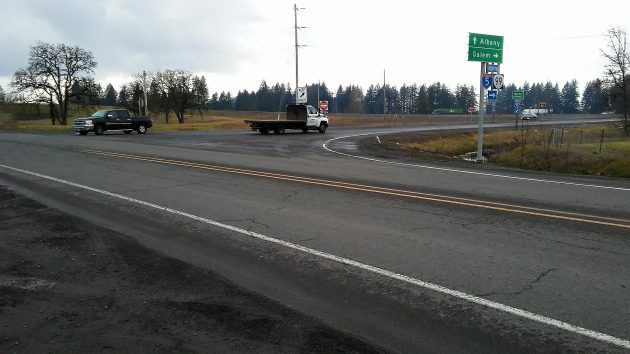 Wouldn’t you like to see less trucks in the Santiam rest area and even no trucks parked near the ramps of that area? I’m all for it and heck, maybe someday soon I-5 will provide 3 lanes each side from Eugene to Salem!